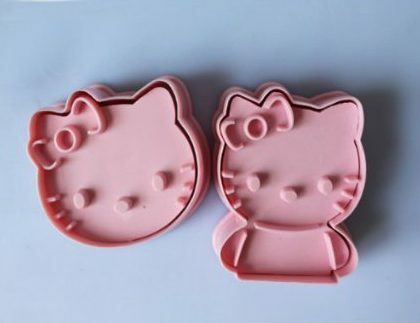 2-Piece Hello Kitty Cookie Cutters Only $2.49 SHIPPED! You are here: Home / Great Deals / Amazon Deals / 2-Piece Hello Kitty Cookie Cutters Only $2.49 SHIPPED! Need new cookie cutters or looking for something to do with your kids’ food? Check this out – get 2 Hello Kitty Cookie Cutters for just $2.49 + FREE shipping! These are SO cute! My daughter LOVES Hello Kitty, so I’m grabbing these. You can use them for cookies, sandwiches, brownies – the possibilities are endless!